Natural stone is a perfect material for bathrooms. It is easy to clean and very durable. Stone can be used for more than just flooring or countertops in bathrooms. There are a variety of unique uses for stone in your bathroom that are sure to make it stand out. A simple way to add a stone accent to your bathroom is with some natural stone accessories. You can purchase stone accessories in a variety of colors and stones. Swap out plastic or ceramic accessories with sleek stone designs for a more natural, elegant look. Free-standing stone bathtubs offer a breathtaking focal point for your bathroom. 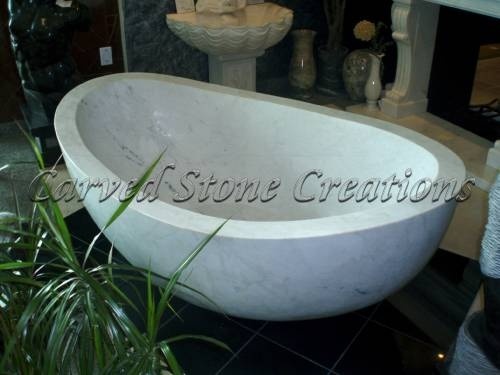 Stone tubs are carved from a single block of natural stone for a smooth finish. Tubs are available in a wide variety of shapes, sizes and colors. A stone bathtub will make any bathroom feel like a luxurious spa. Natural stone sinks are available in a wide range of styles to suit every taste. Every sink is one-of-a-kind and available in a variety of shapes, sizes and colors. 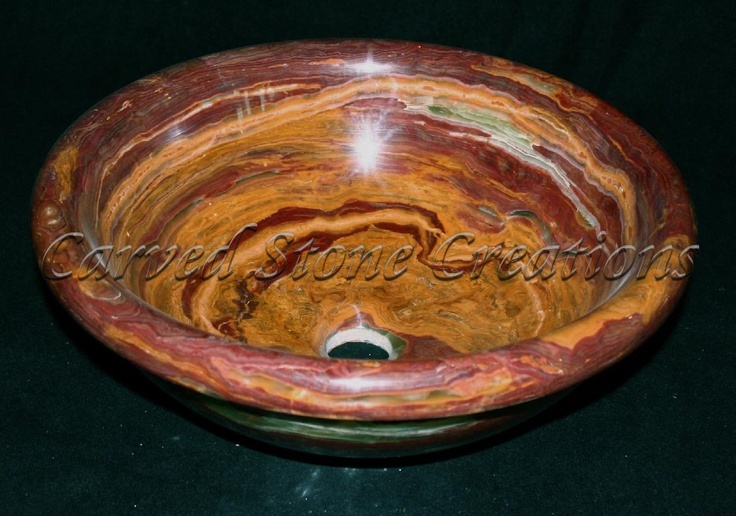 Boulder sinks are a great option for those looking for a rustic look. 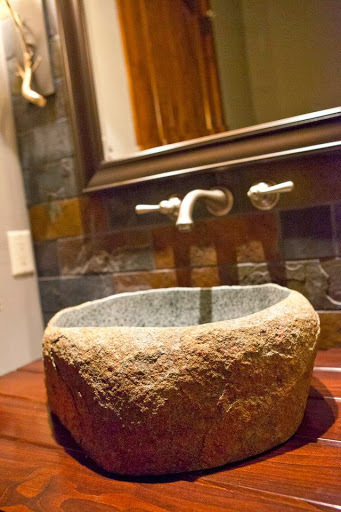 The sink is carved from a natural boulder. The interior bowl and rim are polished for a smooth finish. 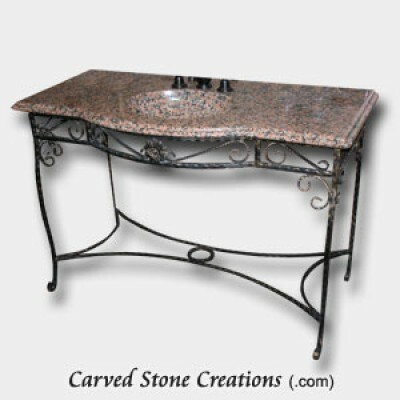 Stone vessel sinks are another great bathroom sink option. 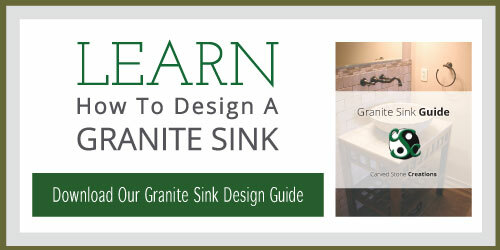 Vessel sinks offer a unique alternative to a traditional undermount sink. Rather than hiding the sink beneath the vanity, vessel sinks sit on top of the vanity and showcase the natural beauty of the basin from all angles. Pedestal sinks are another unique bathroom sink option. They are available in contemporary and classic styles to suit many tastes. Pedestal sinks are also great for bathrooms that are short on space since they dont take up too much room. 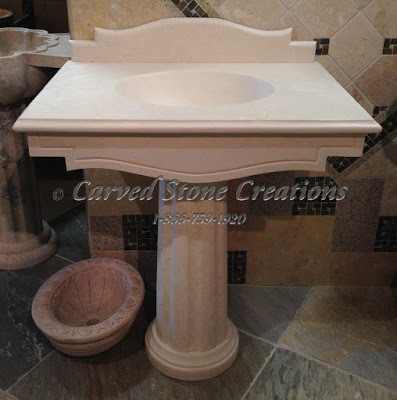 Natural stone vanities are perfect if you are looking to add more counter space to your bathroom. The stone vanity tops are available in a wide variety of stone types and come with metal stands or in slabs to sit on top of a cabinet. Stone tile is a beautiful way to add a touch of stone to your bathroom. Stone is easy to clean and a great option for either a backsplash or flooring in a bathroom. There are many ways to add stone to your bathroom. If you need more design inspiration, check out our ideas gallery.